The bulk pack includes 15 Shake it boards, wooden legs, straws, wiggle eyes, and extra batteries. 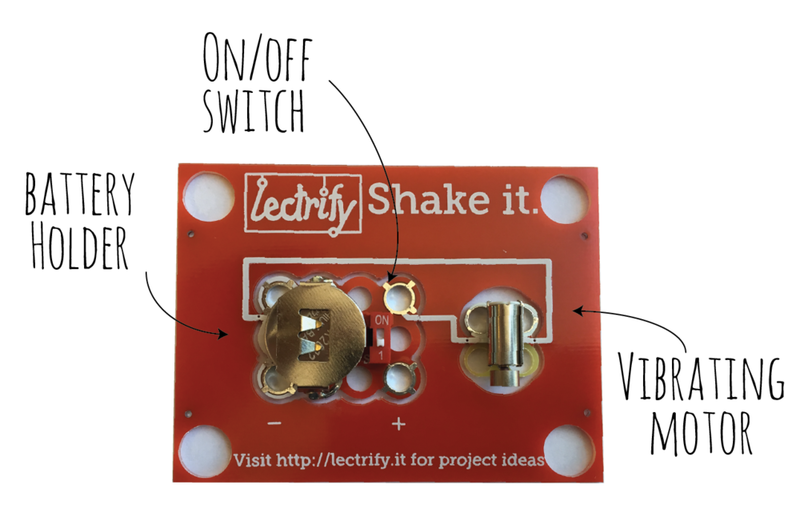 What is the Shake it board? Check out this video for more information and project ideas! Download the teacher guide here.